Backyard Billionaires Tour: See how Northwest Arkansas came to have more billionaires per capita than anywhere else in the US. 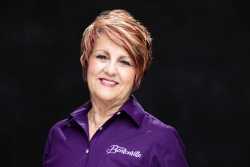 From Walmart and Tyson Foods to Jones Trucking and J.B. Hunt, see how these Fortune 500 companies got their start. 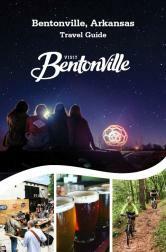 Bentonville and Beyond: See first hand all that Bentonville and Northwest Arkansas have to offer. From the Walmart Visitors Center and War Eagle Mill to the University of Arkansas RFID (Radio Frequency Identification) Technology Center, we guarantee that your group will have a blast! Northwest Arkansas: A Divine Destination: Take a few days of reflection as you watch the Passion Play in Eureka Springs and tour two award-winning glass and steel E. Faye Jones designed (student of Frank Lloyd Wright) chapels as you see why Northwest Arkansas is a divine destination. The Gems of Arkansas: See why Arkansas is truly the “Natural State.” Venture from one end of the state to the other when you dig for diamonds at the nation's only diamond mine at Crater of Diamonds State Park in Murfreesboro, AR and then explore the priceless works of American art at Crystal Bridges Museum of American Art in Bentonville. Arkansas is truly a hidden gem of a destination! Artkansas, Naturally: Experience a wide variety of art and crafts throughout the state of Arkansas. From museums and studios to galleries and workshops, if art is your thing then Arkansas is the place for you! Battles, Badges, and Bridges: A multi-day, multi-city tour of Arkansas that touches the rich history of the Civil War in the Natural State.